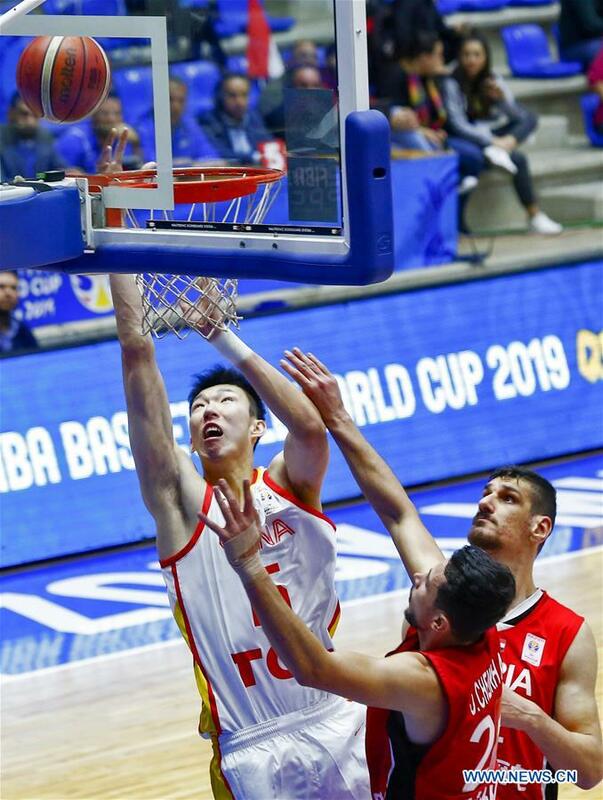 The remaining four Asian spots in the FIBA Basketball World Cup 2019 were finally taken on Sunday night by Japan, Iran, Philippines and Jordan. Wins by all four teams coupled with a loss by Lebanon paved the way for their successful qualification to the World Cup in China later this year. The Akatsuki Five were coming off a sweet shooting display against Iran, and they didn't seem to miss a beat in their rout of Qatar, 96-48. The Japanese led for most of the game, leaning on the strong inside play of Nick Fazekas and their torrid perimeter shooting. Coach Julio Lamas's squad connected 14 times from beyond the arc, with point guards Naoto Tsuji and Yuki Togashi combining for 7 of those made triples. Japan led by 10 at the half and blew the game open soon after, outscoring Qatar, 54-23, in the second half. The Cedars had a dream start in this encounter, leading by 11 points at the end of the first period and by 3 at the half, but the Koreans got their act together and intensified their assault in the final two quarters. Korea outscored the home team, 44-28, in the final 20 minutes of play to pick up the win, 84-72. Naturalized big man Ra GunA was a tower of power for Korea with 25 points, 11 rebounds and 4 blocked shots, while frontcourt partner Kim JongKyu also excelled with 14 points. Korea already qualified to the World Cup, but this win enabled them to tie New Zealand at the top of Group E with 10 wins and 2 losses each. Korea still finish at second place, though, owing to New Zealand's superior point differential. It was a heartbreaker of a loss for Lebanon, which were hoping to qualify to the World Cup after missing the 2014 edition in Spain. Young star Wael Arakji did well for them with 19 points, while veteran Jean Abd El Nour had 10 points and 9 rebounds. Big men Ater Majok and Ali Haidar struggled big time, shooting just a combined 6-of-22 from the floor in their sixth loss of the Asian Qualifiers. Andray Blatche took matters in his own hands in the early goings, and his teammates responded in the second half as he was saddled with foul trouble. The former NBA big man had one of the finest individual performances of the entire World Cup Qualifiers, tallying 41 points, 13 rebounds, 4 steals, 3 assists, 2 steals and 5 triples in the Philippines' 93-75 win over Kazakhstan. Blatche was tagged with his fourth foul in the third period, but that's when the supporting cast rose to the occasion for coach Yeng Guiao. Jayson Castro hit back-to-back threes to keep the home team at bay and ended up with 15 points on a flawless 4-of-4 shooting from downtown. Five-time PBA MVP June Mar Fajardo was also solid with 9 points and 7 rebounds in under 13 minutes of play. The win allowed the Philippines to finish fourth place in Group F, but they ended up with a superior record (7 wins, 5 losses) compared to the fourth place team in Group E, Lebanon (6 wins, 6 losses). Naturalized floor general Anthony Clemmons carried the fight for the Kazakhs with 27 points on the back of 6 three-pointers. The Iranians needed to muster all their strength to upend Australia, and that's exactly what they did in their 85-74 triumph over Australia. Team Melli came out firing in the first period, surprising the slow-burning Boomers. Iran led by 10 after the first ten minutes and played well enough to keep the visitors at bay the rest of the way. The perimeter pairing of Behnam Yakhchali and Mohammad Jamshidi torched the nets for a combined 46 points in this game. Burly slotman Meisam Mirzaei also made heavy contributions, scoring 14 points on top of 10 rebounds as Iran notched their eighth win in twelve games. That was good enough to have them finish at third place in Group F, qualifying them to the World Cup for the third edition in a row. Australia were out of character for much of this game, and by the time they seemed to regain their bearings in the second half, it was just too little, too late. Mitch Creek and Thomas Wilson led the Boomers with 20 and 16 points respectively. In what was a nip-and-tuck affair all throughout, the Falcons proved sterner by game's end to nail their seventh win of the Asian Qualifiers, 86-80, and successfully hop on the World Cup bus. Not surprisingly, Dar Tucker had another big game for the Falcons, registering a near triple-double line with 24 points, 14 rebounds and 8 assists. Mousa Alawadi also turned some heads with 21 points thanks to 5 triples, while Ahmad Al-Dwairi made his presence felt in the paint with 15 points and 9 rebounds. New Zealand missed the services of a couple of veterans, and it showed, especially in their endgame execution. They had their chances to steal the win, however, and very nearly did when they cut the deficit down to just a single point in the dying minutes. Point guard Shea Ili shone for the Tall Blacks with 16 points, 8 rebounds and 3 assists, while Corey Webster added 18 points, 7 assists and 3 triples. The win pushed Jordan to solo third place in Group E and into their first FIBA Basketball World Cup since 2010. The final list of the Asian teams qualified for the FIBA Basketball World Cup 2019 are: China (hosts), Australia, New Zealand, Korea, Japan, Iran, Philippines and Jordan.